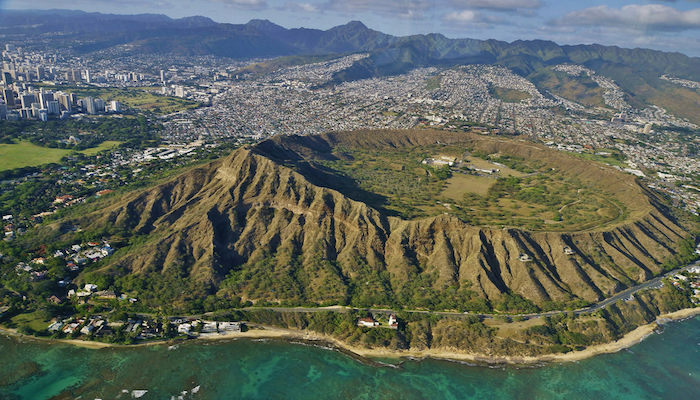 If this is your first time in Honolulu, this is a must-run route! 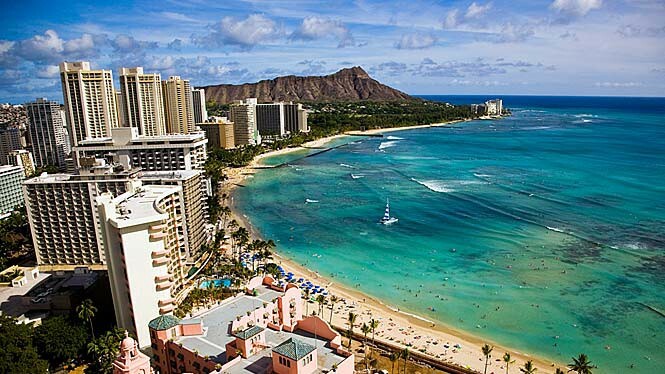 This route tours you through Waikiki Beach, Honolulu’s beachfront neighborhood, with views to the water, crashing surf, and the Diamond Head Volcano. Many hotels are located in the area. Our run begins in the well-used Kapiolani park. From here you will follow Kalakaua Ave, to continue along the coast with views of the crowded 2 mile long beach full of surfers, and the high-end stores and tourist shops. After about 1.3 miles take a left turn onto Lewers St. and then a right onto Kaila Rd. at the T intersection. Continue to run around Duke Kahanamoku Lagoon and return back towards the start along the Fort DeRussy Boardwalk. If you’re looking to add an exercise circuit into your run, stop in Fort DeRussy Park and visit the outdoor gym. It is possible to run on the beach but the sand is soft and it can get crowded. This route has been formulated to see all the sights while staying on paved pathways and sidewalks. The beach is 2 miles in length.